​we needed a pause / tiny consolidation before resuming uptrend. ​next trading sessions. : Testing the 20 DMA now at $92.18. ​​​​​​​I still expect volatility to be above average today. Interesting to observe that we reached the previous top in terms of Relative Volatility of June 6 were RV and Apple Shares started a correction...​​ See third chart below. ​Those risks factors are neutral compare to the last few sessions. ​I expect that Counter Trend to be back ONLY IF SP500 futures break the 1959 level. We are not anymore into a steep uptrend channel that started on June 26. We are within a brand new consolidation channel that started on July​​ 1 with $93.07 support and $94.05 resistance. The next move will be based on which side of that channel we have a break out or down. The ride will be an above average volatility pattern kind of price action. Starting to trade and/or a daily close above $94.05 ​will give us another ​bullish ​impulse scenario ​and direct go towards $94.76 ​​max $95.05 for ​​now ​in ​the ​​next few sessions. ​A daily close below $93.07 will mean for me ​that we are back into a correction phase and ​another gap down ​towards ​$92.​18 max $91.45. ​Apple shares underperformed the SP500 on July 2 ​​(2nd chart below). ​​​Expect a day trading range between $92.20 - $94.10 with above average volatility. ​​July 2 My Long-Legged Doji ? Yestreday I wrote that we were getting near the end of the Euphoria phase. ​that a shift in the direction of the trend may be coming. in the next 2 trading sessions. : Testing the 20 DMA now at $92.11. We are not anymore into a downtrend channel that started on June 10. Also, we are into a new steep uptrend channel that started on June 26 with $93.70 as support and $95.70 as resistance. Starting to trade and/or a daily close above $94.07 ​will give us another ​bullish ​impulse scenario ​and direct go towards $94.76 ​​max $95.05 for ​​now ​in ​the ​​next few sessions. ​A daily close below $92.11 will mean for me ​that we are back into a correction phase and ​another gap down ​towards ​$91.​45 max $90.70. ​Apple shares performed as the SP500 on July 1 ​​(2nd chart below). ​​​Expect a day trading range between $92.10 - $94.10 with above average volatility. ​​​July 1 Euphoria Phase Near Over ? We had quite a turnaround since the bottom of $89.65 reached on Juned 25.
on the ratio of Apple Shares vs SP500.​ ​( See 2 nd chart below - yellow line ). in the next 2 trading sessions. : Testing the 20 DMA at $91.99. ​Those risks factors are bullish compare to the last few sessions. Counter Trend turned bullish Last week. ​I still expect that Counter Trend to accelerate IF SP500 futures break the 1943 level and Apple Shares to outperform SP500 in the next few sessions. Also, we are into a new uptrend channel that started on June 26 with $92.75 as support and $94.70 as resistance. Starting to trade and/or a daily close above $93.88 ​will give us another ​bullish ​impulse scenario ​and direct go towards $94.76 ​​max $95.05 for ​​now ​in ​the ​​next few sessions. ​A daily close below $91.99 will mean for me ​that we are back into a correction phase and ​another gap down ​towards ​$91.​45 max $90.70. 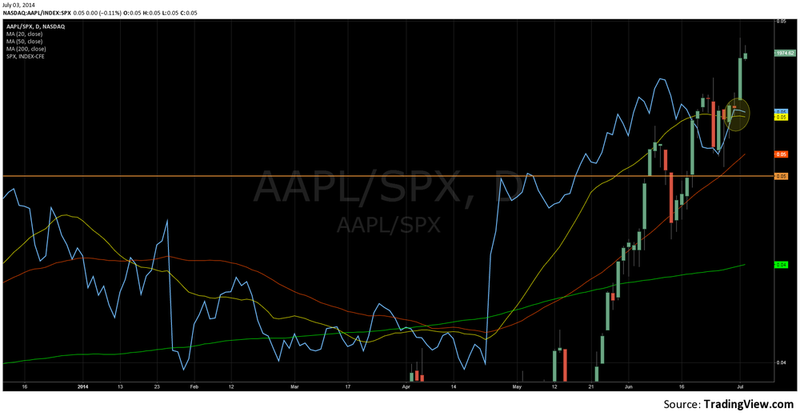 ​Apple shares outperformed the SP500 on June 30 ​​(2nd chart below). ​​​Expect a day trading range between $92.30 - $93.80 with above average volatility. ​​​June 30 Month End and the 20 DMA ? ​the SP500​​. ​( See 2 nd chart below - yellow line ). ​I still expect that Counter Trend to accelerate (especially IF SP500 futures break the 1938 level) and Apple Shares to outperform SP500 in the next few sessions. Also, we are into an overlap channel that started on June 16 with $91.00 as support and $92.30 as resistance. Starting to trade and/or a daily close above $92.75 ​will give us another ​bullish ​impulse scenario ​and direct go towards $93.04 ​​max $93.88 for ​​now ​in ​the ​​next few sessions. ​A daily close below $90.77 will mean for me ​that we are back into a correction phase and ​another gap down ​towards ​$90.​10 max $89.96. ​Apple shares outperformed the SP500 on June 27 ​​(2nd chart below). ​​​Expect a day trading range between $91.30 - $92.80 with above average volatility. ​Those risks factors are bullish compare to the last few sessions. Counter Trend turned bullish yesterday. ​I still expect that Counter Trend to accelerate (especially IF SP500 futures break the 1936 level) and Apple Shares to outperform SP500 in the next few sessions. Also, we are into a new uptrend channel that started on June 25 with $89.96 as support and $91.21 as resistance. Starting to trade and/or a daily close above $91.76 ​will give us another ​bullish ​impulse scenario ​and direct go towards $92.45 ​​max $93.04 for ​​now ​in ​the ​​next few sessions. ​A daily close below $89.96 will mean for me ​that we are back into a correction phase and ​another gap down ​towards ​$88.​93 max $87.95. ​Apple shares outperformed the SP500 on June 26 ​​(2nd chart below). ​​​Expect a day trading range between $90.20 - $91.50 with average volatility. ​into ​consolidation ​mode and the risk of slippage continue. ​the SP500​​ and near testing the 50 DMA on that ratio - a bad omen indeed. ​( See 2 nd chart below - yellow line ). ​Those risks factors are bullish compare to the last few sessions. Counter Trend is near a turnaround. ​I think that Counter Trend will start and expect Apple Shares to outperform SP500 in the next few sessions. Also, we are into a new downtrend channel that started on June 20 with $89.28 as support and $90.91 as resistance. Starting to trade and/or a daily close above $91.50 ​will give us another ​bullish ​impulse scenario ​and direct go towards $92.45 ​​max $93.04 for ​​now ​in ​the ​​next few sessions. ​A daily close below $89.28 will mean for me ​that we are back into a correction phase and ​another gap down ​towards ​$88.​93 max $87.95. ​Apple shares underperformed the SP500 on June 25 ​​(2nd chart below). ​​​Expect a day trading range between $89.65 - $90.90 with average volatility. ​​June 25 My 20 DMA Rejected ? ​the SP500​​ - a bad omen indeed. ( See 2 nd chart below - yellow line ). ​Those risks factors are slightly bullish compare to the last few sessions. Counter Trend is near a turnaround. Also, we are into a new downtrend channel that started on June 20 with $89.70 as support and $91.30 as resistance. Starting to trade and/or a daily close above $91.70 ​will give us another ​bullish ​impulse scenario ​and direct go towards $92.45 ​​max $93.04 for ​​now ​in ​the ​​next few sessions. ​A daily close below $89.75 will mean for me ​that we are back into a correction phase and ​another gap down ​towards ​$89.​41 max $88.93. ​Apple shares performed as the SP500 on June 24 ​​(2nd chart below). ​​​Expect a day trading range between $89.40 - $90.90 with above average volatility. ​​June 24 My 20 DMA ? the ​20 DMA ( Day Moving Average at $91.49 ), even $91.80. 20 DMA, a very weak technical stance indeed.​​ ( Now at $91.64 ). ​​At this stage, the main slippage risk from retail players and options skew are behind us. Also, we are not anymore into a consolidation channel that started on June ​16 with $91.16 support and $92.45 as resistance. Starting to trade and/or a daily close above $92.45 ​will give us another ​bullish ​impulse scenario ​and direct go towards $93.04 ​​max $93.50 for ​​now ​in ​the ​​next few sessions. ​A daily close below $90.36 will mean for me ​that we are back into a correction phase and ​another gap down ​towards ​$89.​75 max $89.10. ​Apple shares underperformed the SP500 on June 23 ​​(2nd chart below). ​​​Expect a day trading range between $90.00 - $91.60 with above average volatility. ​​June 23 Dead Cat Bounce ? ​Those risks factors are slightly bullish compare to the last few sessions. Also, within that downtrend channel, there is a new consolidation channel that started on June ​16 with $91.20 support and $92.50 as resistance. Starting to trade and/or a daily close above $92.50 ​will give us another ​bullish ​impulse scenario ​and direct go towards $93.04 ​​max $93.50 for ​​now ​in ​the ​​next few sessions. ​A daily close below $91.20 will mean for me ​that we are back into a ​​severe correction phase and ​another gap down ​towards ​$90.​36 max $89.10. ​Apple shares underperformed the SP500 on June 20 ​​(2nd chart below). ​​​Expect a day trading range between $90.70 - $92.00 with average volatility. ​​June 20 Still into the Consolidation Channel ? ​$92.75 and $93.50 ​for now. ​​At this stage, the main slippage risk from retail players are behind us. Also, within that downtrend channel, there is a new consolidation channel that started on June ​16 with $91.26 support and $92.56 as resistance. Starting to trade and/or a daily close above $92.56 ​will give us another ​bullish ​impulse scenario ​and direct go towards $93.04 ​​max $93.50 for ​​now ​in ​the ​​next few sessions. ​A daily close below $91.26 will mean for me ​that we are back into a ​​severe correction phase and ​another gap down ​towards ​$90.​36 max $89.70. ​Apple shares underperformed the SP500 on June 19 ​​(2nd chart below). ​​​Expect a day trading range between $90.90 - $92.80 with average volatility. June 19 Consolidation Channel ? Also, within that downtrend channel, there is a new consolidation channel that started on June ​16 with $91.30 support and $92.60 as resistance. Starting to trade and/or a daily close above $92.60 ​will give us another ​bullish ​impulse scenario ​and direct go towards $93.04 ​​max $93.50 for ​​now ​in ​the ​​next few sessions. ​A daily close below $91.02 will mean for me ​that we are back into a ​​severe correction phase and ​another gap down ​towards ​$90.​10 max $89.70. ​Apple shares underperformed the SP500 on June 18 ​​(2nd chart below). ​​​Expect a day trading range between $91.80 - $93.00 with average volatility. June 18 Still Resuming Uptrend ? ​zone and failed but we did not make a new low compare to the previous close. ​​​​We need a daily close today above $92.56 to be back into the ​bullish ​scenario, unless still into consolidation ​mode. Also, within that downtrend channel, there is a new uptrend channel that started on June ​13 with $92.27 support and $93.85 as resistance. Starting to trade and/or a daily close above $92.56 ​will give us another ​bullish ​impulse scenario ​and direct go towards $93.04 ​​max $93.90 for ​​now ​in ​the ​​next few sessions. ​A daily close below $90.87 will mean for me ​that we are back into a ​​severe correction phase and ​another gap down ​towards ​$90.​10 max $88.93. ​Apple shares underperformed the SP500 on June 17 ​​(2nd chart below). ​​​Expect a day trading range between $92.00 - $93.30 with average volatility. June 17 Resuming Uptrend ? ​Yesterday for me was the final test of the Retail Players. we tested ​the $92.75 level and failed but did not pullback tremendously. ​scenario, unless still into consolidation ​mode. ​​​Those risks factors are neutral compare to the last few sessions. ​Apple shares outperformed the SP500 on June 16 ​​(2nd chart below). ​​​Expect a day trading range between $92.00 - $93.50 with average volatility. June 16 My Broken Channel ? Today s is the critical phase for the Retail Players. ​scenario, unless into consolidation ​mode. ​Those risks factors are bearish compare to the last few sessions. ​Apple shares underperformed the SP500 on June 13 ​​(2nd chart below). ​​​Expect a day trading range between $90.40 - $91.70 with above average volatility. ​​June 13 Saloons Door Experiment? indicating profit taking - ​​​​see 3rd chart below. Starting to trade and/or a daily close above $93.04 ​will give us another ​bullish impulse scenario ​and direct go towards $93.90 ​​max $94.30 for ​​now ​in ​the ​next few sessions. ​A daily close below $91.25 will mean for me ​that we are back into a ​​severe correction phase and ​another gap down ​towards ​$90.​69 max $89.74. ​Apple shares underperformed the SP500 on June 12 ​​(2nd chart below). ​​​Expect a day trading range between $90.70 - $92.80 with above average volatility. ​​June 12 The ET Experiment - Final Coundown ? coaster​ and I think it will be the same today. hedge fund and or iCahn take profit on a portion of their holdings. ​close above $93.15​​ - for me that will be good technically speaking. ​scenario, unless back into consolidation ​mode. ​Those risks factors are slightly bearish compare to the last few sessions. Starting to trade and/or a daily close above $95.05 ​will give us another ​bullish impulse scenario ​and direct go towards $95.40 ​​max $95.80 for ​​now ​in ​the ​next few sessions. ​A daily close below $93.15 will mean for me ​that we are back into a ​​correction phase and ​another gap down ​towards ​$91.​75 max $90.87. ​Apple shares underperformed the SP500 on June 11 ​​(2nd chart below). ​​​Expect a day trading range between $93.00 - $94.70 with above average volatility. June 11 The ET Experiment - part 2 ? ​close above $93.40​​ - for me that will be good technically speaking. ​​now ​in ​the ​next few sessions. ​A daily close below $92.60 will mean for me ​that we are back into a ​​correction phase and ​another gap down ​towards ​$91.​75 max $90.87. ​Apple shares outperformed the SP500 on June 10 ​​(2nd chart below). 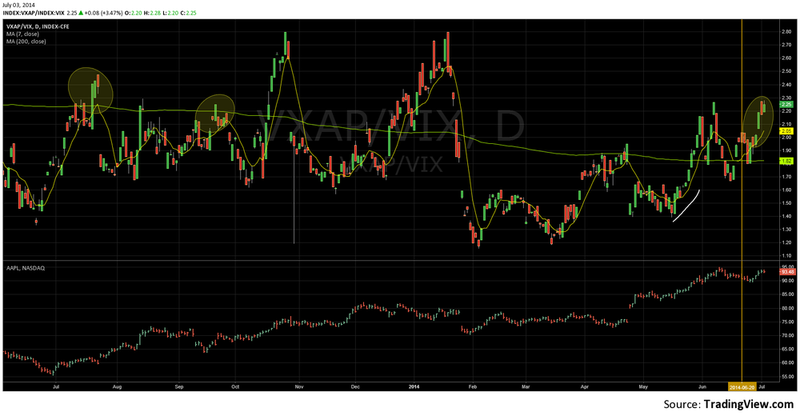 ​​​Expect a day trading range between $93.40 - $94.70 with above average volatility. ​into Apple Shares. That may continue 1 MAX 2 sessions into Euphoria phase. ​​correction phase and ​another gap down ​towards ​$90.​ 87 max $89.75. ​Apple shares outperformed the SP500 on June 9 ​​(2nd chart below). ​​​June 9 The Stock Split ? ​​correction phase and ​another gap down ​towards ​$90.​87 max $89.97. ​Apple shares Underperformed the SP500 on June 6 ​​(2nd chart below). ​​​Expect a day trading range between $91.60 - $93.54 with above average volatility. ​​​June 6 Expect Volatility Ahead ? ​​correction phase and ​another gap down ​towards ​$622.​50 max $614.70. ​Apple shares Underperformed the SP500 on June 5 ​​(2nd chart below). ​​​Expect a day trading range between $636 - $652 with above average volatility. June 5 D-Day for Apple Shares ? ​the scenario from consolidation to back to bullish. ​​correction phase and ​another gap down ​towards ​$628.​20 max $622.50. ​Apple shares Outperformed the SP500 on June 4 ​​(2nd chart below). ​​​Expect a day trading range between $638 - $650 with above average volatility. ​​June 4 D-Day for Apple Shares ? from consolidation to back to bullish. ​severe ​correction phase and ​another gap down ​towards ​$628.​20 max $622.50. ​Apple shares Outperformed the SP500 on June 3 ​​(2nd chart below). ​​​Expect a day trading range between $633 - $642 with above average volatility. ​​June 3 Officially in Consolidation Mode ? then targeting MAX the $614.70 as the level to hold to stay bullish long term. finish the week lower in prices in the WWDC week. ​severe ​correction phase and ​another gap down ​towards ​$614.​70 max $609.90. ​Apple shares Underperformed the SP500 on June 2 ​​(2nd chart below). ​​​Expect a day trading range between $620 - $631 with above average volatility. 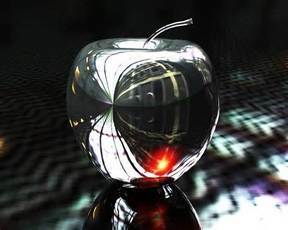 ​​June 2 The WWDC Week ? ​This is the WWDC week ( Worldwide Developers Conference ) from Apple. ​A lot of ​expectations and rumours about new products annoucement. ​as Icahn will dump part of his holding. MAX the $614.70 as the level to hold to stay bullish long term. ​into a ​bullish pattern trade scenario. and ​another gap down ​towards ​$624.​90 max $614.70 for now. ​Apple shares Underperformed the SP500 on May 29 ​​(2nd chart below). ​​​Expect a day trading range between $627 - $640 with above average volatility. ​buying will end badly as Icahn will dump part of his holding. $614.70 as the level to hold to stay bullish long term. and ​another gap down ​towards ​$623.​80 max $614.70 for now. ​Apple shares Outperformed the SP500 on May 29 ​​(2nd chart below). ​​​Expect a day trading range between $630 - $643 with above average volatility. ​​May 29 Consolidation Phase ? ​$629.80 was reached on May 28. $609.90 as the level to hold to stay bullish. The ride will be an average volatility pattern kind of price action. and ​another gap down ​towards ​$603.​50 max $596.10 for now. ​Apple shares Underperformed the SP500 on May 28 ​​(2nd chart below). ​​​Expect a day trading range between $618 - $630​ with above average volatility. ​​May 28 Near Euphoria End ? conditions. ​My Ultimate monthly target of $629.80 is almost already reach. ​Apple shares Outperformed the SP500 on May 27 ​​(2nd chart below). ​​​Expect a day trading range between $621 - $630​ with above average volatility. ​​​​​​May 27 Last Impulse ? ​( so sellers of SP500 to buy ​Apple Shares ). ​must stay above the amber line level for technical strenght to continue. ​Those risks factors are bullish compare to the last few sessions. ​Apple shares Outperformed the SP500 on May 23 ​​(2nd chart below). ​​​Expect a day trading range between $612 - $621​ with above average volatility. ​​​​​May 23 Counter Trend + Tricky Fridays ? ​​​Two contrarian factors at play. ​Apple Shares ). So a tough call but must follow the technical ​levels. ​in ​the ​next few sessions. and ​another gap down ​towards ​$594.​00 max $589.50 for now. ​Apple shares Outperformed the SP500 on May 22 ​​(2nd chart below). ​​​Expect a day trading range between $603 - $612​ with above average volatility. ​​​May 22 Consolidation Phase Still ? Not much have changed for me since yesterday. ​into a ​conolidation pattern trade scenario for a few sessions. and ​another gap down ​towards ​$594.​20 max $589.50 for now. ​Apple shares Underperformed the SP500 on May 21 ​​(2nd chart below). ​​​Expect a day trading range between $601 - $610​ with above average volatility. ​​​May 21 Consolidation Phase ? ​Apple shares Outperformed the SP500 on May 20 ​​(2nd chart below). ​​​Expect a day trading range between $598 - $607​ with above average volatility. ​​​May 20 A Trio of Broken Resistance ? ​A lot of interesting technical factors happened again yesterday. 1) We did close above the resistance of $597.50 for a bullish impulse. see first chart below ​). ​into a ​bullish pattern trade scenario for a few sessions. ​Apple shares Outperformed the SP500 on May 19 ​​(2nd chart below). ​​​Expect a day trading range between $601 - $611​ with above average volatility. ​​​​​May 19 $597.50 Zone Being Tested? ​​A lot of interesting technical factors happened last Friday. 1) We did test the crutial level of $586.30 and rebounded strongly from there. 2) We did close at the resistance zone of $597.50 - the upper side of my range. ​close to finally get out of that ​range and have the next bullish impulse..
and ​another gap down ​towards ​$580.​30 max $575.10 for now. ​Apple shares Outperformed the SP500 on May 16 ​​(2nd chart below). ​​​Expect a day trading range between $592 - $601​ with above average volatility. ​​​​​May 16 Need to Stay Above $586.30 ? Same game plan here but risk of a slippage of Apple Shares are climbing. ​Those risks factors are bearish compare to the last session. ​Apple shares Outperformed the SP500 on May 15 ​​(2nd chart below). ​​​Expect a day trading range between $583​ - $594​ with above average volatility. ​​​​​May 15 Counter Trend is Back ? towards Apple Shares. ​That make them more resilient of a correction for now. futures break the 1882 level. ​Those risks factors are slightly bullish compare to the last session. ​Apple shares Outperformed the SP500 on May 14 ​​(2nd chart below). ​​​Expect a day trading range between $587​ - $596​ with above average volatility. for the SP500 should bring the test of $586.30​​​ for Apple Shares. ​Apple shares Outperformed the SP500 on May 13 ​​(2nd chart below). ​​​Expect a day trading range between $586​ - $595​ with above average volatility. ​​​​May 13 A New Trend ? ​Those risks factors are slightly bulish compare to the last session. ​Apple shares Outperformed the SP500 on May 12 ​​(2nd chart below). ​​​Expect a day trading range between $586​ - $597​ with above average volatility. ​​May 12 Near Resuming Uptrend ? ​my Ultimate target of $575.14: which will become another buying ​opportunity. ​means that we already made the lows and ready for the next bull phase. ​Those risks factors are slightly bearish compare to the last session. ​into a ​consolidation pattern trade scenario for a few sessions. and ​another gap down ​towards ​$575.​10 max $572.50 for now. ​Apple shares Underperformed the SP500 on May 9 ​​(2nd chart below). ​​​Expect a day trading range between $583​ - $593​ with above average volatility. ​​​​​May 9 Consolidation Still ? ​consolidation ​will be on price intead of time. ( range trade ). and ​another gap down ​towards ​$579.​70 max $575.10 for now. ​Apple shares Underperformed the SP500 on May 8 ​​(2nd chart below). ​​​Expect a day trading range between $580 - $590 with above average volatility. ​​​​​​May 8 Consolidation Phase ? retest the $575.14​ which will become another buying opportunity. ​(see second chart ​below - Amber Line + ellipses). ​Apple shares Underperformed the SP500 on May 7 ​​(2nd chart below). ​​​Expect a day trading range between $585 - $594 with above average volatility. ​​​​May 7 Market Turmoil ? ​by the lower relative ​​Volatility. and ​another gap down ​towards ​$589.​70 max $586.40 for now. ​Apple shares Underperformed the SP500 on May 6 ​​(2nd chart below). ​​​Expect a day trading range between $590 - $601 with above average volatility. ​​May 6 3 for 1 ? Yesterday was a 3 for 1 technical strenght behavior for Apple Shares. So the ​​Consolidation period did not last long. ​Those risks factors are neutral compare to the last session. ​​max $612.50 for ​now ​in ​the ​next few sessions. and ​another gap down ​towards ​$589.​50 max $586.40 for now. ​Apple shares Outperformed the SP500 on May 5 ​​(2nd chart below). ​​​Expect a day trading range between $596 - $606 with above average volatility. ​​​​​May 5 Consolidation Still ? ​change on ​technical levels. We need some ​Consolidation. ​below - ellipses) and failed to break the level on that ratio: Very Interesting..
​Those risks factors are less bullish compare to the last session. ​​max $605.50 for ​now ​in ​the ​next few sessions. and ​another gap down ​towards ​$582.​50 max $575.10 for now. ​Apple shares Outperformed the SP500 on May 2 ​​(2nd chart below). ​​​Expect a day trading range between $583 - $593 with above average volatility. ​​​​​May 2 Time VS Price? prices to allow technical indicators to go from ovebought condidions ? ​the $575.10 level before resuming uptrend. ​Apple shares Outperformed the SP500 on May 1 ​​(2nd chart below). ​​​Expect a day trading range between $586 - $596 with above average volatility. ​​​​May 1 Counter Trend Behavior ? ​will tell me ​that ​we will retest the $575.10 level. ​towards ​$582.​50 max $575.10 for now. ​Apple shares Underperformed the SP500 on April 30 ​​(2nd chart below). ​​​Expect a day trading range between $585 - $596 with above average volatility. ​​​​​Apr 30 Reality Check ? ​that ​we will retest the $575.10 level. Those risks factors are less bullish compare to the last session. ​​max $604.70 for ​now ​in ​the ​next few sessions. ​towards ​$581.​20 max $575.10 for now. ​Apple shares Underperformed the SP500 on April 29 ​​(2nd chart below). ​​​​Apr 29 Euphoria Phase ? chart below - ellipses ). ​​max $607.30 for ​now ​in ​the ​next few sessions. ​towards ​$577.​50 max $571.90 for now. ​Apple shares Outperformed the SP500 on April 28 ​​(2nd chart below). ​​Apr 28 All Aboard ? So the Bulls need absolutely to break AND close above the $575.10 today. ​​max $583.20 for ​now ​in ​the ​next few sessions. ​towards ​$564.​10 max $560.70 for now. ​Apple shares Outperformed the SP500 on April 25 ​​(2nd chart below). ​​​Expect a day trading range between $567 - $577 with above average volatility. below the 0.75 mark.​ WE REACHED THAT MARK. ​​max $582.90 for ​now ​in ​the ​next few sessions. ​towards ​$558.​40 max $554.80 for now. ​Apple shares Outperformed the SP500 on April 24 ​​(2nd chart below). ​​​Expect a day trading range between $558 - $568 with above average volatility. ​​Apr 24 Houston, we had a Lift Off ? We had very good financial results from Apple Yesterday. Those risks factors are less bullish compare to the last two previous sessions . ​​max $594.60 for ​now ​in ​the ​next few sessions. ​towards ​$549.​00 max $543.50 for now. ​Apple shares Underperformed the SP500 on April 23 ​​(2nd chart below). ​​​Expect a day trading range between $555 - $575 with above average volatility. ​​​​Apr 23 D-Day on ER ? itself, ​we should have a corrective Wednesday in Price​. 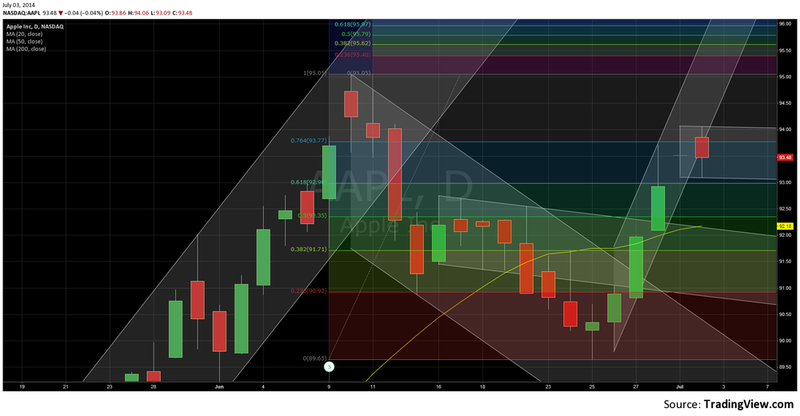 ​ See APPLE Technicals Behavior - Counter Trend and ER ? ​short term top ( $532.14 ) for Apple Shares. Starting to trade below $526.50 will tell me that the up wave before ER is over. ​​max $543.50 for ​now ​in ​the ​next few sessions. ​towards ​$523.​20 max $519.20 for now. ​Apple shares Underperformed the SP500 on April 22 ​​(2nd chart below). ​​​Expect a day trading range between $525 - $535 with average volatility. ​​Apr 22 ER Behavior ? and Wednesday. See APPLE Technicals Behavior - Counter Trend and ER ? ​see this morning the short term top for Apple Shares. Starting to trade below $525.80 will tell me that the up wave before ER is over. ​towards ​$522.​40 max $519.10 for now. ​Apple shares Outperformed the SP500 on April 21 ​​(2nd chart below). ​​Apr 21 ER Fever ? Those risks factors are more bullish compare to the last two previous sessions . ​Shares. Starting to trade below will tell me that the up wave before ER is over. ​​max $531.30 for ​now ​in ​the ​next few sessions. ​towards ​$519.​90 max $517.10 for now. ​Apple shares Outperformed the SP500 on April 17 ​​(2nd chart below). ​​​Expect a day trading range between $522 - $531 with average volatility. ​​​​Apr 17 Stuck in the Mud ? ​SP500 towards Apple Shares. I think that will continue. ​​max $526.10 for ​now ​in ​the ​next few sessions. ​towards ​$511.​30 max $509.90 for now. ​Apple shares Underperformed the SP500 on April 16 ​​(2nd chart below). ​​​Expect a day trading range between $511 - $522 with average volatility. ​​​​​Apr 16 Captitulation my Dear? below the 0.75 mark.​ WE ARE NEAR THAT MARK. ​​max $530.30 for ​now ​in ​the ​next few sessions. ​towards ​$512.​40 max $511.30 for now. ​Apple shares Underperformed the SP500 on April 15 ​​(2nd chart below). ​​​Expect a day trading range between $515 - $524 with average volatility. Those risks factors are slighlty bullish compare to last week. ​​max $529.60 for ​now ​in ​the ​next few sessions. ​towards ​$512.​40 max $510.40 for now. ​Apple shares Underperformed the SP500 on April 14 ​​(2nd chart below). ​​​Expect a day trading range between $518 - $526 with average volatility. ​​​​Apr 14 Near Turnaround ? ​towards ​$518.​70 max $515.60 for now. ( Read​ Correlation Research ). ​and/or a daily close above $523.40. ​into a ​correction pattern trade scenario for a few sessions. ​Apple shares Outperformed the SP500 on April 11 ​​(2nd chart below). ​​​Expect a day trading range between $513 - $525 with average volatility. ​​​​​Apr 11 Wave 2 ? Those risks factors are slighlty bearish compare to yesterday. I think we can have today the wave 2 of capitulation phase of the market. ​​max $537.40 for ​now ​in ​the ​next few sessions. ​Apple shares Outperformed the SP500 on April 10 ​​(2nd chart below). ​​​Expect a day trading range between $518 - $527 with average volatility. ​​​​​Apr 10 Tricky Follow Through ? at $528.24 and we did have a close above, a very good sign indeed. Those risks factors are neutral compare to yesterday. ​​max $540.00 for ​now ​in ​the ​next few sessions. ​towards ​$526.​10 max $521.90 for now. ​Apple shares Outperformed the SP500 on April 9 ​​(2nd chart below). ​​​Expect a day trading range between $526 - $535 with average volatility. ​​Apr 9 Dead Cat Bounce ? Those risks factors are slightly less bullish than yesterday. ​Correlation risk is putting Apple Shares still on a slippage risk. ​​max $537.20 for ​now ​in ​the ​next few sessions. ​into a ​consolidation mode trade scenario for a few sessions. ​towards ​$515.​60 max $512.00 for now. ​Apple shares Underperformed the SP500 on April 8 ​​(2nd chart below).